Welcome to the WHK Student Intern Program! The Werner H. Kirsten Student Intern Program (WHK SIP) at the National Cancer Institute at Frederick is designed to expose high school seniors to research and administrative management in a health care environment. 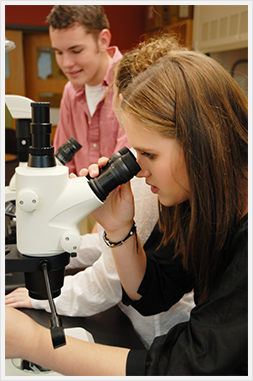 The scientific interns experience the basic methods of biomedical research through “hands-on” laboratory training. The students in the Internships in Support of Science/Research are assigned projects in budget, personnel, information technology, graphics and media. Fall Lecture Series - Don't forget to register.